I recall someone converting a WW I or WW II light British cruiser to a yacht. Only ship that Somalia pirates did not approach. ACLU is filing a complaint against the ship owners. Definitely on the same page, Matt. The Meridians easily fall into our hypothetical thread budget and not only that, but you could find something very recent as close as 2014 for that. No doubt. You invest in something like this, you don't worry about that other stuff, for sure, because if you are, you shouldn't be doing it in the first place. It's either you can or you can't, no in between, I would think. Invest ??? Boats are rarely an investment. more like a depreciating asset, or expensive toy. Meridians have a number of issues that are well documented on the Owner's forum. Layout and price attract un knowing buyers. I have always loved the Formula 400SS. I like that I could still go pretty fast but have the comforts of a cruiser. for the 400k range I would look to the Formula 450 yacht about 2010 and newer. Budget may have to increase slightly to get that. I am a fan of the rear facing lounge seat that folds into a sun deck. I also cannot boat year round so maximizing the play area is important to me and the below deck would be simply a place to sleep that is functional. I like the classic look and well constructed Formulas. I would also consider the Four Winns vista series of boats in the 40-45' range. Those 2 always get my head to turn - the other boats are nice but those two get the heart pumping for me. The Sea Ray 48 Sundancer (51' boat) in the 2006-2007 era can be within 400K range right now. Friends of mine just moved up to that from a 40 Sundancer and they love it. We have spent a lot of time in their boat sipping cocktails and I like their cockpit size and layout better than mine and their cabin layout is superior as well. Keep an eye on the Cruisers Cantius line too. I generally don't like Cruisers boats, but their Cantius line (40,45,48) is very impressive and can be within reach of $400K in not too distant future. 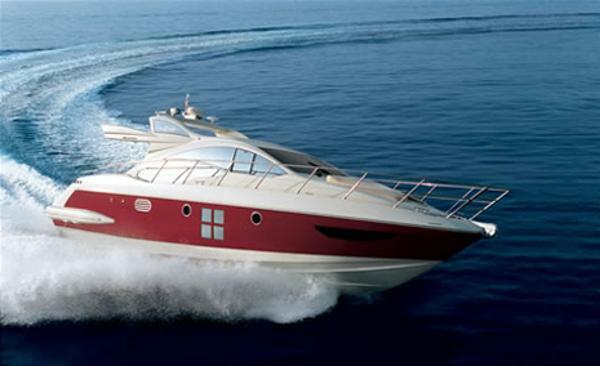 Search on Azimut 40S and 43S and they are priced less than 450K and are really hot looking. Also Marquis 40 or 42 SC is really sleak looking and in your range. Yeah, Jim pisses me off every time he makes a post cuz then I have to stare at that boat for 10 or 15 minutes LOL! Seriously, though, the Azimut 43S is a spectacular boat (made by one of the top boat-building companies in the world) and they even remind me of the Chaparral Premier 420 with the way many of the available ones come in that same, slick, red hull band color. The interior is just as spectacular and very roomy. Great post and information, Jim. Thx. Excellent post, Delaney, thanks. What do you think of that pulpit on those 45 Yachts? Something about that pulpit on that boat that bothers the heck out of me lol. But nice boat, no question. Here's a question for any of you fellas whom might be experienced with long trips and the comfort levels: How would the hull shapes of these larger, V-plane boats such as the Sundancer, Meridian, Formula etc., compare to say the hull shape of something like the Nordhavn that Richard W. posted which seems to have more of a contour hull shape rather than a sharp V-plane. Is the ride of the latter better in choppy seas than the former's, or better or the same? I would think it's quite the investment, Rip, absolutely. You're investing in very precious and quality times with family and friends that you wouldn't otherwise have. Even if, for example, you've spent $100K on a boat, held on to it for 5 years and had some of the best times with your kids growing up with it and the memories you and they had in it during that period and then sold it for half that price, was the 5 years of memories and good times worth the $50K? No question, unless you're the unluckiest individual on the planet. Even if you keep it and pass it on to one of your kids, or sell it, in time to add to the remaining value to your retirement fund. I see it as an investment just not the conventional type, but you're certainly getting a return of a kind that you can't really put a specific, monetary value on. So why does the boat brand have anything to do with the engines? Not sure I understand. Aren't most boats makers using the same type of engines made by either VP or Merc? Look at Cruiser's yachts, Sea Ray, etc. that use the 8.1L engines. you will not find as many problems. Nice spin on the "investment". Thanks MattE and Hatem. I never get tired of looking at her either. I just got hauled out yesterday and am very depressed but I love this post because it gives me something else to spend my energy on! Speaking of which, guess what just came on the market??. This boat will (should) sell for $350-375 and I'm basing that on some market info I gathered during my search last year. Azimut? Many better choices than this manufacturer. Way to many defects, way to many design flaws and way to many items that were from poor craftsmanship. We have 2 of them on our lake and they have been at the dealer (on the hard) for repairs longer then they have been in the water. Take a look of this owners video. How he kept his cool is incredible. What is bad about it is that these mistakes were just stupid. Ah yes, I saw that Azi video on the SR site. Quite a lengthy discussion about it there. a 40+ ft. vessel, you will need it. I buy into the investment in memories concept (I guess I have to!). Seriously, my kids are 13 and 10 and still want to go to the boat every weekend. I know my years with them as kids are in short supply and will soon lose them to sports, friends, teenagerness, etc. I had to finance this one, but made sure my D/E ratio will stay positive after annual depreciation, plus the final 10% brokerage fee to sell it. I learned a ton of ugly information on how the boating industry works. 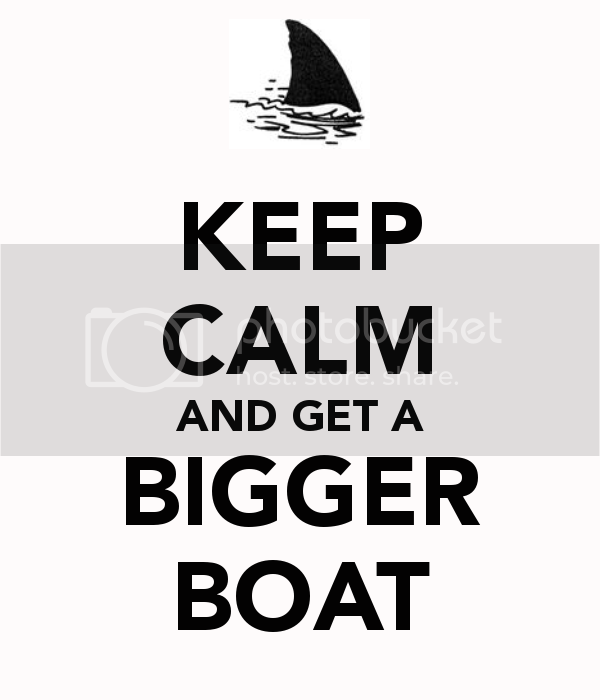 It's all fun and games on your way trading up, but dealers don't do trade-downs and that's when exit plan is not good news for boat owners. Some may get lucky breaking the odds of selling for more than the brokers and dealers consider the true worth of the boat, but it's rare and even more rare is selling for more than what you bought for. Such profits are only for the taking by brokers and dealers. If anyone wants the formula that a pro once gave me to determine the true value of any boat, PM me. It's ugly and downright sobering, but I found his computations to be spot on during my search for the 470 and in trying to find a buyer for my '12 Chap 310 Sig. But even through the ugly, I'm happy with my "investment!" "But Dealers don't do trade downs"
a new boat that had been in stock too long. My wife and I have debated the issue of upgrading to a cruiser as we both love the great lakes boating but also have balanced the reality that our kids will be young for a brief time. I bought our first boat in 2008, upgraded at end of 2011 due to waves and needed space and we love the thought of cruising from port to port. the problem is upgrading to a cruiser costs a ton of cash and the fact that it depreciates makes it worse. We have decided to not upgrade anymore and use our money hopefully in a positive financial move for us (not judging anyone else at all - in fact envious of the cruiser owners) we have decided to purchase a lake home that we hope one day to retire, sell the main home and tear down and build a retirement home in Michigan. We have put an offer on a small cottage in Holland Mi,. it is on Lake Macatowa and that has access to lake Mich. I loved it as it comes with a 150' pier w/ a 15k lb lift. - its a huge move for us so we will rent it out on a few weeks to offset some of the costs. Should close on it in January. As boats seem to lose 1/2 their value we are hopeful that worse case we can sell it if we need to down the road and break even and maybe ahead - here are a few pics of it. Took my son to a hockey tournament in Holland a few years back. It was Thanksgiving weekend and they got an early snow. It was a neat town and the snow added some atmosphere to the tournament. We went to see Lake Michigan, waves were crashing off of the wall by the lighthouse, very cold and windy. The little lake was nice and calm though, like a small cove. I was trying really hard to envision how it looks in the summer. I bet it's beautiful. This poor fellow got the @#&#036;%@# end of the stick on that boat and probably bought it during a bad factory period at Azimut because that was some crazy incompetence and quality control issues. That boat seemed to have an unusually huge amount of problems for a new boat. Hard to believe the entire line comes with so many issues and if you think about it, this one boat here is about as lemon as they get. But the interesting thing is there are no lemon laws in the boat industries and neither are there recall standards which is frightening to no end. You pay half a million or a million and a half for a boat and it basically comes with one, big, middle finger! lol. So Joey, you mentioned many other better choices...such as? Now that's a good buy if that can be snagged for $350K with 126 hours on it. Big boats are toys, they are not for the faint of heart or weak wallets. I agree with you on the proportions of the Chap 400/420. One main reason this boat is 42 foot LOA and that includes the swim platform which is HUGE. This vessel is probably really only about 38 foot without the swim platform. Tiara holds their resale extremely well.